Shopping for a new phone is an entire ordeal. 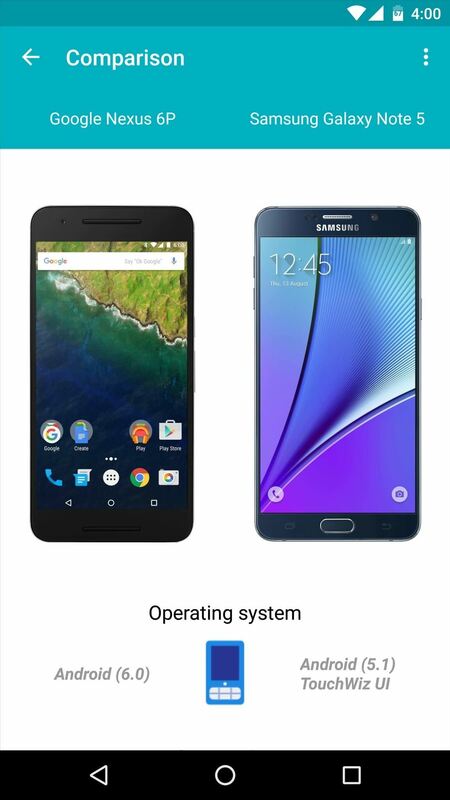 Even when you've narrowed it down to a few choices, comparing the finalists can be difficult, because specs and prices are scattered around on various different manufacturer websites, and if you're trying to do this on your current phone, most of these websites aren't optimized for mobile viewing. Developer acidandrage definitely feels your pain, because his latest app is designed specifically for this problem. 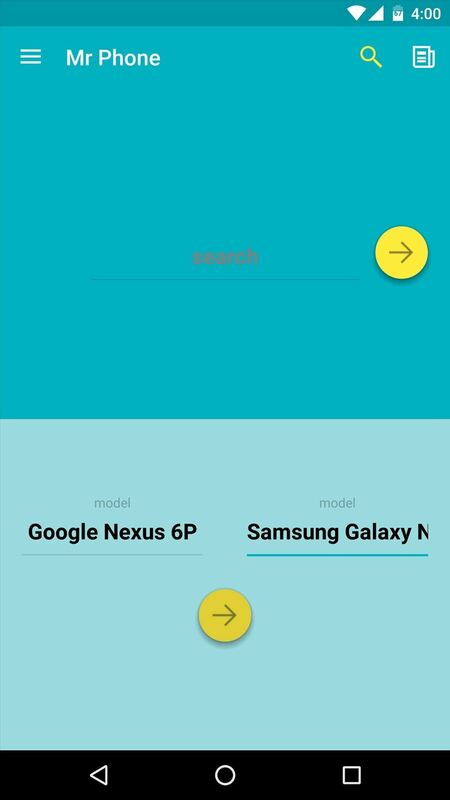 It lets you easily see the specs for any phone on the market, and even better, you can compare two phones in a side-by-side view with a nice, native Material Design interface. When you first launch Mr Phone, you'll be greeted by a quick feature tour. 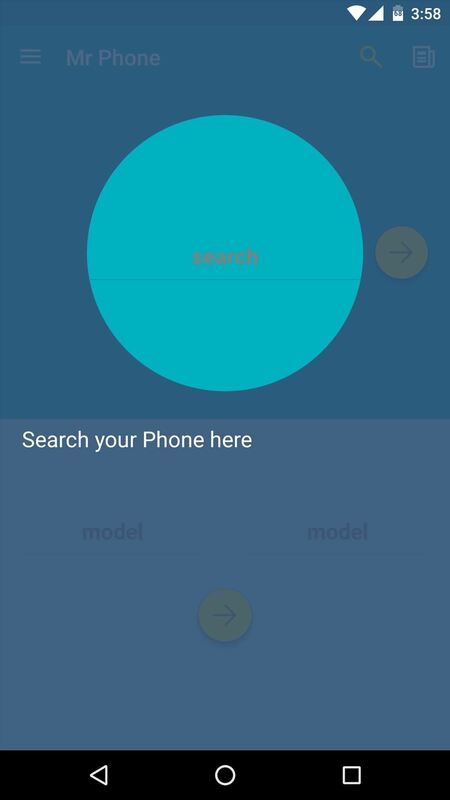 This explains that you can search for a single phone using the top field, or you can search for two phones and compare them using the fields at the bottom. So to try it out, type in two phone names in the bottom fields, then press the yellow arrow button. Most devices are included here, so you can compare BlackBerrys, iPhones, Windows Phones, Android phones, etc. From here, you'll see pictures of the two phones side by side, which gives you a good idea of how they both look. But if you'd like to see more information, scroll down a bit. 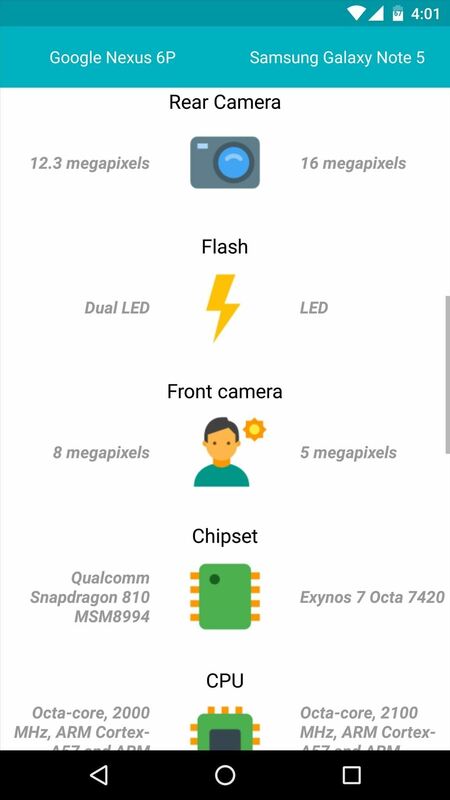 The specs for each phone will be listed in two columns for easy comparison, and these include battery size, pixel density, processor type, price, and much more. 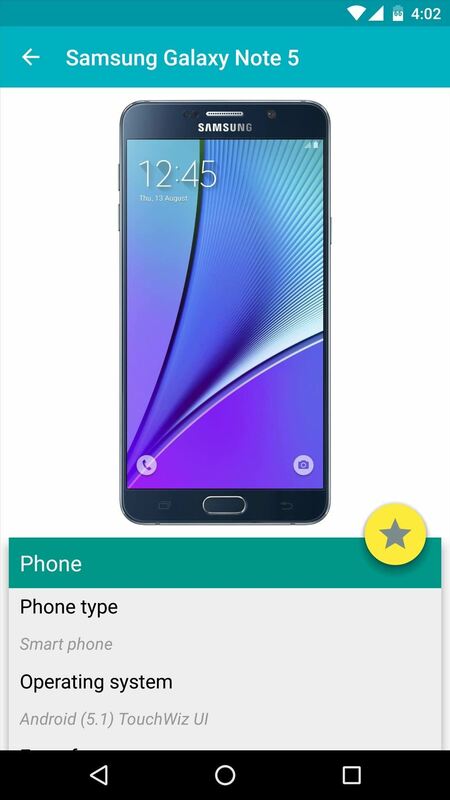 If you haven't narrowed down your search yet and you're just beginning to see what's on the market, you can easily browse phones by manufacturer using Mr Phone. 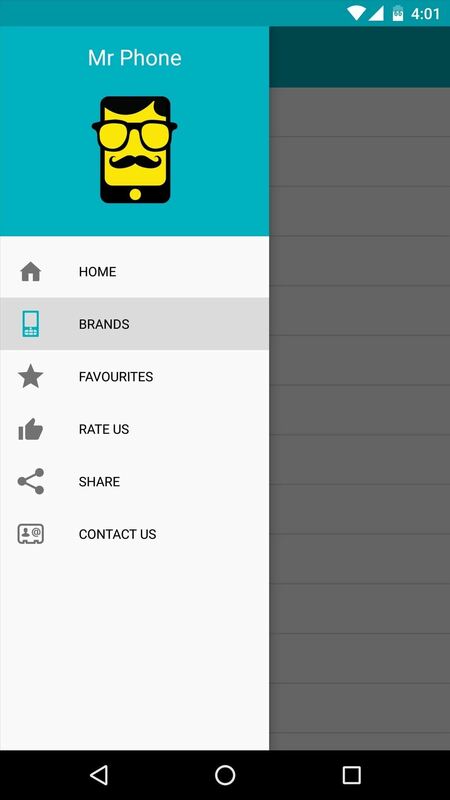 Just head to the side navigation menu and choose "Brands," then select a brand and phone to view detailed information. You'll see pretty much every brand out there, including Amazon, Apple, HTC, Microsoft, Nokia, OnePlus, etc. So which new phone did you ultimately decide on? Let us know in the comment section below, or drop us a line on Android Hacks' Facebook or Twitter, or on Gadget Hacks' Facebook, Google+, or Twitter.